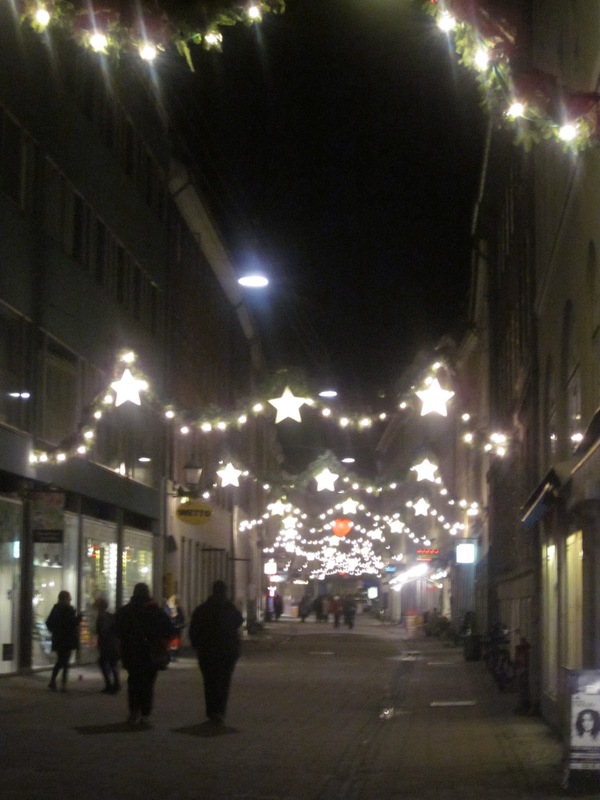 There is one lesson that must be learned if you hope to comprehend December in Denmark. Christmas in the States makes me think of many things. First and foremost, that stifling church service you (and 99% of the parish) attends on Christmas Eve, hoping God hasn't noticed your mysterious absence since Easter. Second, the nativity scenes carefully arranged in the homes (and occasional yards) of your city's homes, some with and some without THE baby in the manger. Third, the Christmas tree, covered in ornaments and lights and surrounded by gifts, most likely wrapped in papers printed with Santa Claus or religious sentiments. And finally, the Christmas parties thrown over the two weeks before December 25, celebrating the holiday season with friends. In a country where 68% of residents polled are either agnostic or atheist (Eurobarometer Poll, 2005), Christmas is understandably sans-Christ. The holiday here is called Jul, and Jul involves a lot more drinking and partying than is traditional in the States. For example, instead of wishing, "Merry Chirstmas!" it's typical instead to say "At drikke Jul!" This translates as "To drink Christmas!" Also, the holidays really start on J-Day (J-Dag) which was November 4th this year. 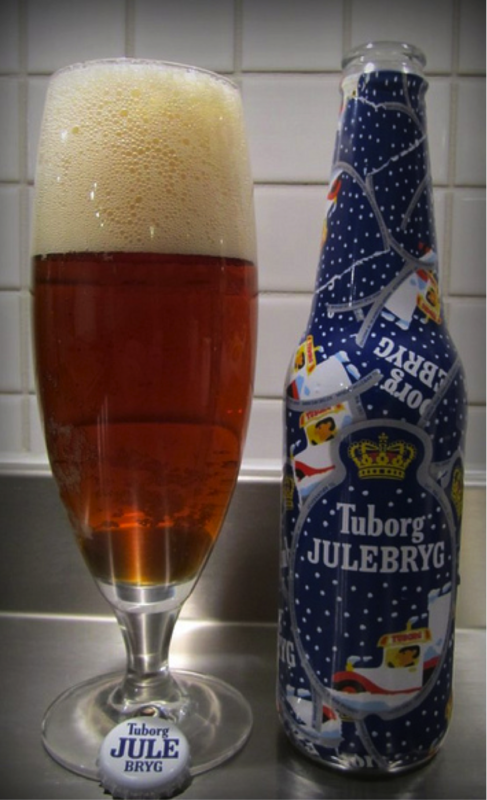 J-Day is when Carlsberg/Tuborg releases its Christmas beer (Julebryg), and typically everyone in the city is at bars or with friends buying the beer and celebrating the season. The beer typically has a slightly higher alcohol content (5.6%), and is only available during Jul. Honestly, I don't see anything particularly special about the taste, but as far as traditions go, this one isn't too bad. 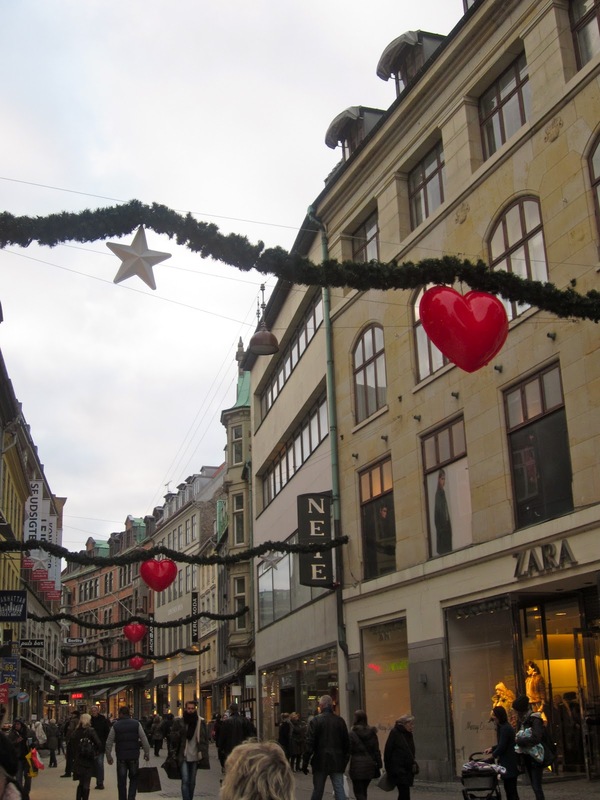 Another odd Christmas tradition I've seen here is that Danish Jul symbols are hearts, stars and evergreens. 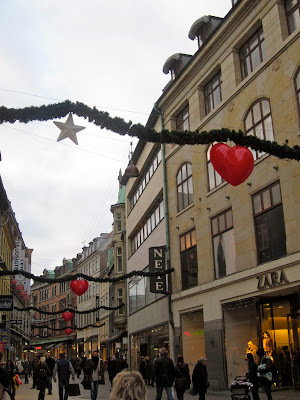 All the major pedestrians streets where I live are strung with lighted evergreens and red hearts. Coming from an American culture where red hearts = Valentine's Day, it's an odd association. Still, the streets look pretty both during the day and at night.